Natural Health News — Two new studies show that supplementing with coenzyme Q10 may help reduce pain in fibromyalgia sufferers. Fibromyalgia is a condition characterised by chronic pain in the muscles, ligaments, and tendons. It comes with sometimes extreme fatigue, and multiple tender points on the body. Its cause is not known though there is evidence that people with the condition may be more sensitive to pain because something is wrong with the body’s usual pain perception processes. Treatments for the the condition are limited, though it can coexist with sleep disorders, anxiety, depression, and irritable bowel syndrome and addressing these can also sometimes help the pain. The first small study was a randomised, double-blind, placebo-controlled study involving 20 patients with fibromyalgia. 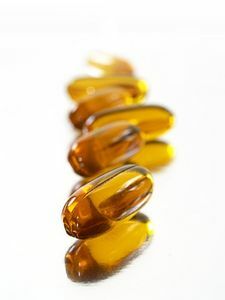 Supplementation with 300 mg of coenzyme Q10 (CoQ10) a day for 40 days was found to be associated with clinical improvements, including a significant reduction in pain, fatigue, and morning tiredness. Reporting in the journal Antioxidants and Redox Signaling the Spanish researchers also report that participants experienced a reduction in the number of tender points, a finding that seemed to be confirmed by laboratory tests looking for markers of inflammation, levels of antioxidant enzymes and mitochondrial function (mitochondria are responsible for cellular energy production) and AMPK gene expression levels (AMPK is an important enzyme in cellular energy metabolism). The researchers, who have previously studied the link between mitochondrial dysfunction, oxidative stress, and inflammation in fibromyalgia, concluded that CoQ10 has a potential therapeutic role in the condition. 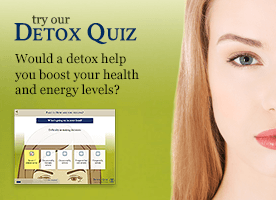 Coenzyme Q10 is a fat-soluble nutrient which is produced naturally in our bodies. It is found in every cell in the body, but is most concentrated in organs that require the most energy — such as the heart, liver, muscles and kidneys. CoQ10 exists either in its oxidised form, ubiquinone, or in its reduced form, ubiquinol. The body can transform ubiquinone to ubiquinol and vice versa. This conversion takes place to maintain a state of equilibrium between ubiquinol and ubiquinone. One theory is that a dysfunction in this transformation process and an overabundance of oxidised CoQ10 may play a part in fibromyalgia. The second study published in the journal Redox Report was also small one involving 10 children with fibromyalgia and 67 healthy controls. Tests at the beginning of the study showed that plasma levels of ubiquinol (the reduced form of CoQ10) were significantly decreased and the ratio of ubiquinone (oxidised CoQ10) to total CoQ10 was significantly increased in children suffering from the disease compared to the healthy controls). This, say the Japanese researchers, suggests that fibromyalgia is associated with CoQ10 deficiency and increased oxidative stress. The children were then supplemented with 100 mg daily of ubiquinol. After 12 weeks of supplementation there were significant improvements in chronic fatigue scores, increases in overall CoQ10 levels, decreases in levels of ubiquinone. Results, say the researchers, suggest that CoQ10 status may be impaired in subjects with juvenile FM and as such supplementation may be of benefit.